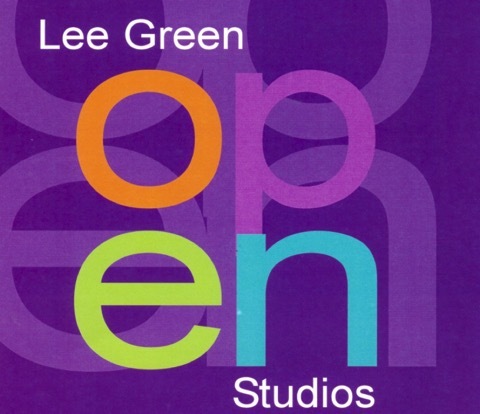 Lee Green Open Studios in an annual event which takes place over two weekends in November. Local residents and visitors to SE12 were able to enter dozens of venues and access a broad range of art - most of which were available to purchase! At Arts Network's headquarters, The Lee Centre, we ran a number of free arts activities throughout the day to raise awareness of mental health issues and and inspire the creativity. Our introduction the mosaic workshop had members of the public helping create a new sign for the entrance of The Lee Centre. We invited people to try out mindfulness colouring to improve their wellbeing. All the work made by Arts Network members was available to view and/or buy. The workroom was covered in new artwork, form skirting board to ceiling. This year artists taking part in Lee Green Open Studios donated postcards auction. Proceeds of which went to Arts Network. We are currently contacting winners, and will be announcing how much has been raised in early 2016. 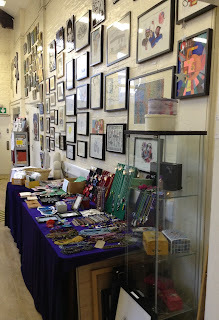 Thank you to all the lovely local artists who donated work. Lee Green Open Studios on the website Here. It is an annual event, so if you didn't attend... there's always next year!